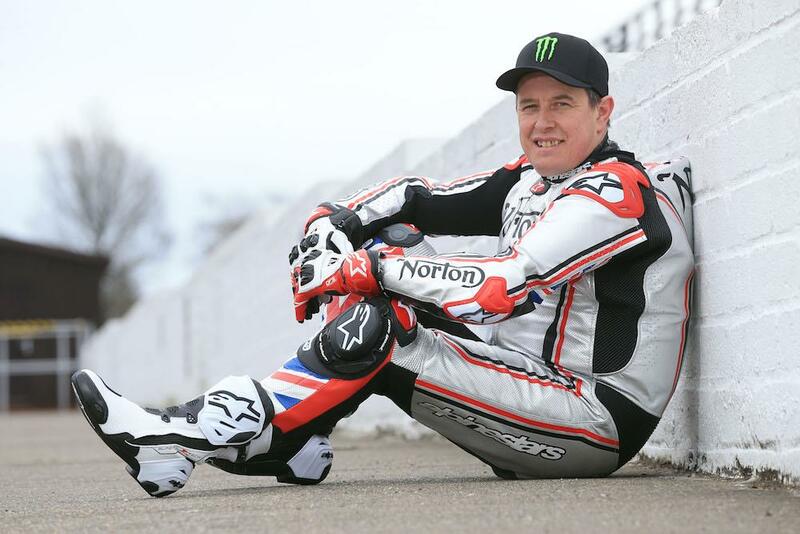 Isle of Man TT legend John McGuinness has revealed that he has had a set-back in his recovery from the broken leg he sustained in an accident at last year’s North West 200. The 23-time TT winner broke his right tibia and fibular when he was thrown from his Honda Fireblade following at the fast Primrose Hill turn on the North West 200 course following a problem with the machine’s ECU. Since the crash and throughout the off-season, McGuinness has worn an external fixator cage on the leg while his bone re-grew, a process that had gone well resulting in the removal of the cage last month. After taking his first unaided steps at the annual Isle of Man TT press launch as well as confirming deals with Norton, Michael Dunlop Racing and Ryan Farquhar’s KMR squad, it looked as though McGuinness was a cert for this year’s international road race season which kicks off at the North West 200 next month. He had been hoping to get his first ride on the Norton SG7 V4-RR this month, but tonight he has revealed he’s suffered what he’s calling a ‘set-back’ with the injury, although it is not yet clear to what extent and whether it puts his 2018 racing plans in doubt.